The student leadership programme was originally inspired by the London 2012 Olympic Games and was based on the Olympic rings and values. 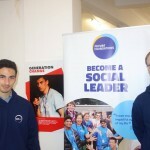 This year it is being re-branded as the Student Leadership Programme. Year 9 students are invited to participate by applying to form part of a student leadership team that will be linked to a specific department in the school. Students will be given opportunities to develop leadership skills by implementing a project of their choice in their assigned department. Project ideas could include organising and running challenge events for younger students, mentoring, developing resources, running clubs, running online forums etc. The programme will run for the duration of Year 9 and 10. Participating students will be expected to stay dedicated to a department of their choice for one year, but will be given the chance to change to another department for the second year if they so wish. Each year they will have to come up with a project they want to run within their department. 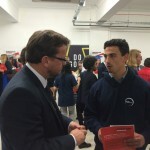 They will have guidance from a mentor in their department but will be encouraged to be independent so that they gain leadership and organisation skills. The students will need to complete a log book of their progress with the project and towards the end of the summer term each student will be invited to present the results from their project to the rest of the student leaders. If an individual successfully completes two years as a student leader they will be automatically appointed a prefect in Year 11. 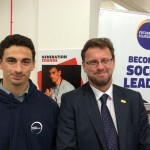 “On the 5th of October I had the privilege to be invited to a Conservative party conference and meet influential members of the movement “generation change”. This is a culmination of 18 different charities and organisations dedicated to giving young people (8-25) the opportunity to be the forefront of positive social change in their communities. McKinsey Leadership programme press release regarding St. Crispin’s – click here. Click here to view the Student Leadership Presentation which pupil Mia Khan submitted for her leadership project. Click here to view the Student Leadership Presentation which pupil Charlotte Thairs submitted for her leadership project.